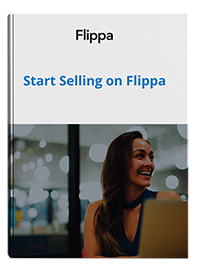 We’ve been talking about building the awareness of your Flippa auction recently. Staying on this theme, I want to highlight a great little feature we rolled out not too long ago. Say hello to the Auction Parking Page! The thinking behind this is that when buyers click through to your domain, there’s nothing to see. Instead now, the seller can turn their blank canvas into a billboard for their auction. This is fantastic for sharing on social media, amongst your contacts and on other networks. The Auction Parking Page places an auction countdown on the page, with the listing description and link straight to the auction page. Activating the Auction Parking Page is super simple too. From your live auction, just go to the listing settings and then click on Free Promotion Toolbox.